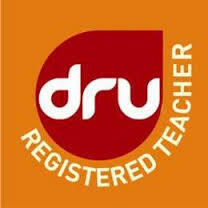 Dru Yoga is a graceful and potent form of yoga, based on soft flowing movements, directed breathing and visualisation. It is designed to be practised by people of all abilities, all fitness levels and all age groups. With its foundations set firmly in ancient yogic tradition, Dru works on body, mind and spirit – improving strength and flexibility, creating core stable building a heightened feeling of positivity and deeply relaxing and rejuvenating your whole being. Instructor: Karen Ivkovic – Karen holds teaching diplomas in Dru yoga and meditation and has been practicing yoga for over 25 years. Each class follows the traditions and foundations of Dru Yoga with activations to help you leave the world behind for a moment, energy block release sequences and postures to work the spine and body to release toxins and tension while creating a strong core and body awareness.